Our new blog series, Power Couples, tracks down some of Seattle's most stylish and sweet married duos to find the source of their wedded bliss. 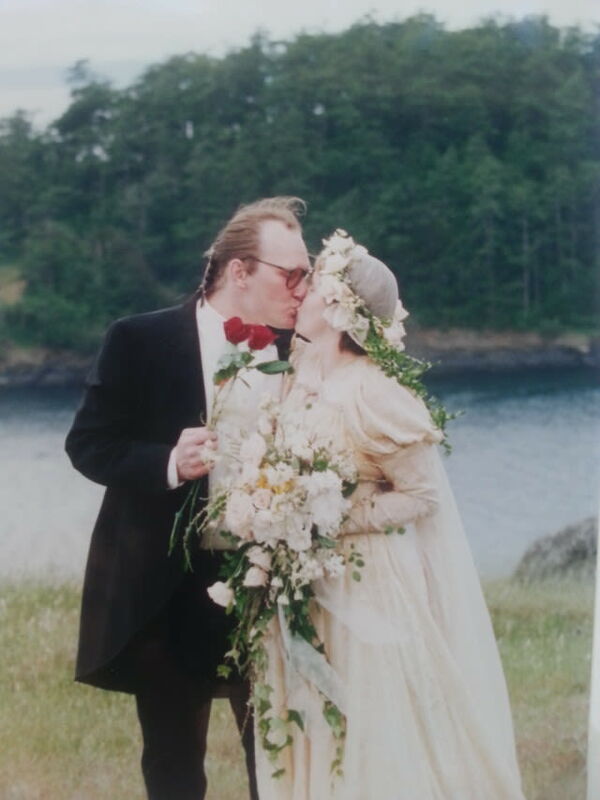 Becky and Jim Buford married on the overcast Northwest afternoon of May 15, 1994, on Spieden Island in the San Juans. A baby fawn was born on the island that day, a certain sign of the fruitful and prosperous life in store for the newlyweds. Jim, a contractor by trade, helped Becky build and launch two of Fremont's anchor boutiques: Les Amis, an expertly-curated haunt of flirty, sophisticated womenswear in 1996; and in 1998, Essenza, our favorite Parisian perfumerie. In case you're counting, that's an applaudable 20 years of marriage. Find out what they've learned and what keeps them going, below. 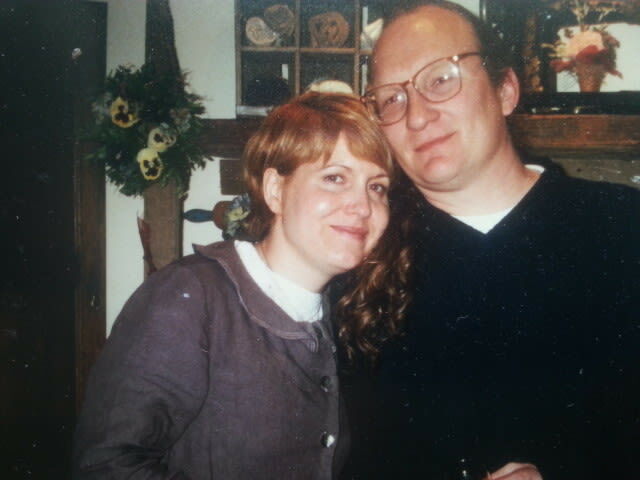 Becky and Jim Buford on their wedding day in 1994. Becky was living on a house boat and Jim was a contractor for the home next door. One day he dropped his tools in the water and she helped him fish them out. What do you do for an infusion of romance? We head out of town to a few favorite places in the Northwest with our little Cattle Dog, Ellie. Anywhere we can relax and play. Lately we've been escaping to Iron Springs on the coast. What's the best thing either of you has made for dinner lately? Becky: I'm not allowed in the kitchen, for good reason. But Jim loves to cook and I enjoy everything he makes. I'm so thankful to come home after a long day and have something amazing waiting! The Bufords today, over 20 years after their Big Day.